Back in 2011, when this CD first started life as an Edinburgh show, Glenn Wool had so embraced life on a road as an international touring comic that he was homeless, living out of a suitcase as he moved from town to town, country to country. Needless to say, he's got an airport security story or two, and this show hangs around an intimate search he was subjected to as he entered Indonesia, his wide-eyed, unkept trucker look apparently arousing suspicion among the drug-intolerant authorities. This framing device is a little clunky, a well-worn comic situation that serves to expose rather than concealing the anthological nature of the hour's series of unconnected extended routines. He gives it all the hard sell. The performance is at full volume, and every line given a declamatory importance as if he were forming a new religion, not telling a gag about beavers. Some sections, when he shows his social astuteness and satirical edge, probably don't need this, as they are clever, funny and subtly subversive – as he's not slow to point out, cheeky in his uncanadian immodesty – but the more straightforward personal anecdotes probably do benefit from the weight he gives them. It also seems necessary as the crowd in Montreal where this was recorded sounds small. You can hear him work for every laugh in the way comics making arena recordings never have to. Parts of the show are classic Wool; other routines a little more workmanlike in their focus, although the craft in his distinctive delivery is always evident. 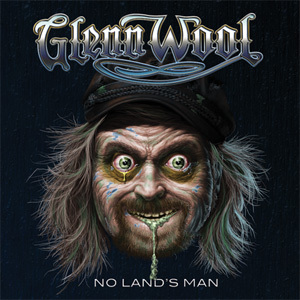 • Glenn Wool: No Land's Man is available from iTunes, priced £7.99.